Lyons woman now facing three pending criminal cases — The Worthington Times. A woman wanted on a warrant was arrested Tuesday after a deputy responded to check on a woman who’d been sitting most of the day on a sidewalk bench in Lyons. Lisa Jean Archer, 34, Lyons, was arrested on Tuesday, April 2, by Greene County Sheriff’s Deputy Alan Jackson then booked in to the Greene County Jail around 8:47 p.m.
Deputy Jackson was dispatched to Lyons on the report of a suspicious woman wearing a white sweater and dark sunglasses who had been hanging out in the area of 175 South Wine Street for most of the day. When Jackson arrived, he recognized the woman as Lisa Archer and knew there was an active warrant out for her arrest. While he was talking to her, a man stepped out of a nearby shop and said Archer was with him. When the deputy asked Archer if she had “anything” on her, she allegedly started to pull items out of her pockets including a zip lock bag that she admitted contained marijuana. Other items in her jacket included a controlled substance, a crystallized substance and a syringe. Jackson reported some of these items field-tested positive for methamphetamine. Archer was being held without bond pending her appearance on Monday morning in Greene Superior Court where Archer has three criminal cases scheduled on the docket. Possession of marijuana, a Class B misdemeanor. In an earlier case, Archer was arrested on Friday, March 22, but she posted bond and was released from jail. This initial hearing is also scheduled for Monday morning. 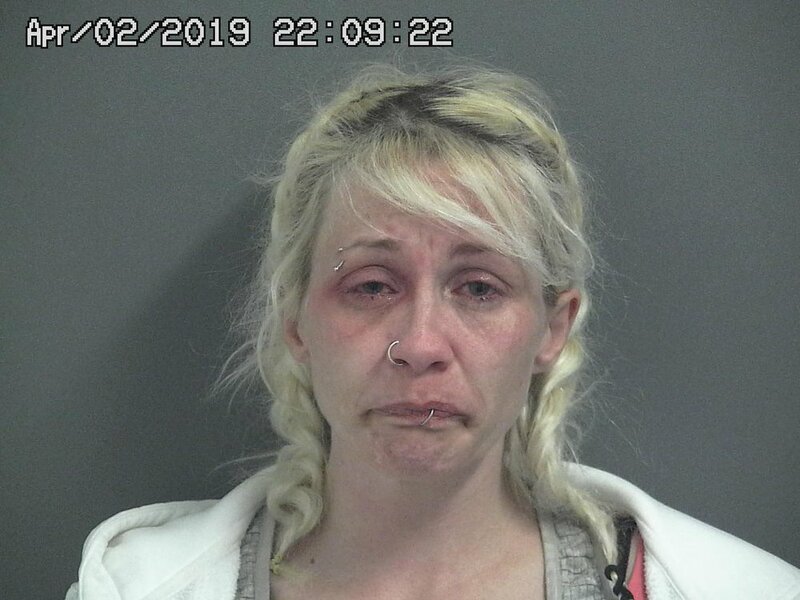 In this instance, she’s facing charges involving operating a vehicle while intoxicated and operating a vehicle with a controlled substance in the body. The third case on the Monday morning docket is a hearing on a petition to revoke her suspended sentence on a conviction of felony possession of methamphetamine. When she was convicted this past February, she was sentenced to 18 months in jail but given credit for days already served and the rest of it, one year and 84 days, was suspended.